Justice League Trailer look awesome!! 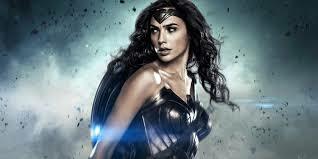 Wonder Woman Trailer released in Comic Con 2016! Wonder Woman is here finally in live action. The San Diego Comic-con 2016 featured the first trailer of Wonder Women by Warner brothers. The film is directed by Patty Jenkins, written by Allan Heinberg and Geoff Johns, from a story by Heinberg and Zack Snyder, and stars Gal Gadot, Chris Pine, Connie Nielsen, Robin Wright, Lucy Davis, Lisa Loven Kongsli, Danny Huston, Ewen Bremner, Saïd Taghmaoui, Elena Anaya and David Thewlis. IT is the first major comic book adaptation of a Female Super hero in a log time. The wonder Woman Diane Prince is about to enter the human world.